I don’t know where some of my ideas come from. It’s probably best that I don’t know. 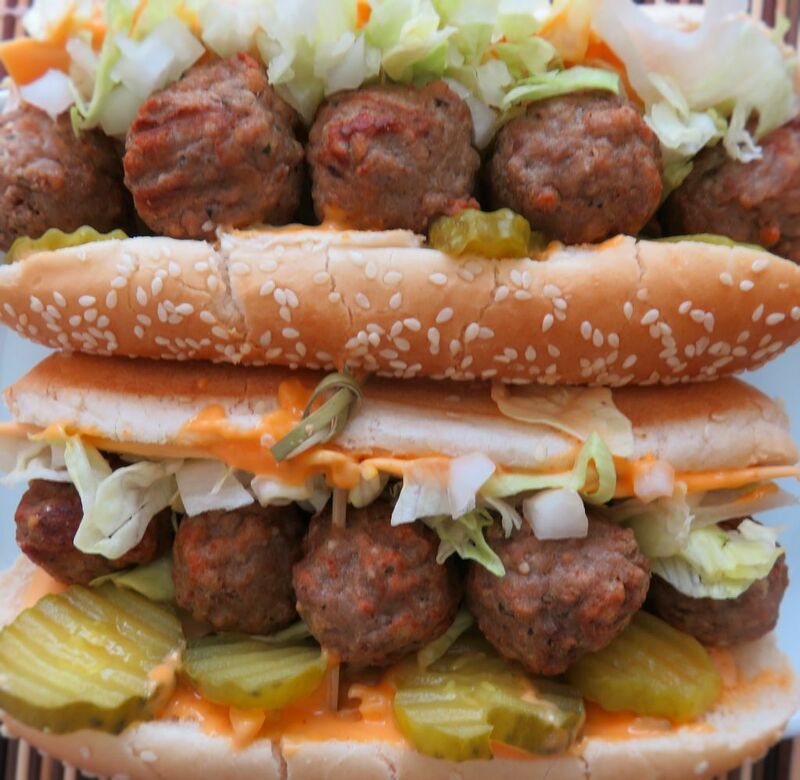 But I do know that this right here, my Big Mac Meatball Subs, was one of my best creations. I was craving that great Big Mac taste but I didn’t have burger patties on hand. But I did have meatballs. Yeah, it’s just like a Big Mac burger, but oh so much better. And easier to make. 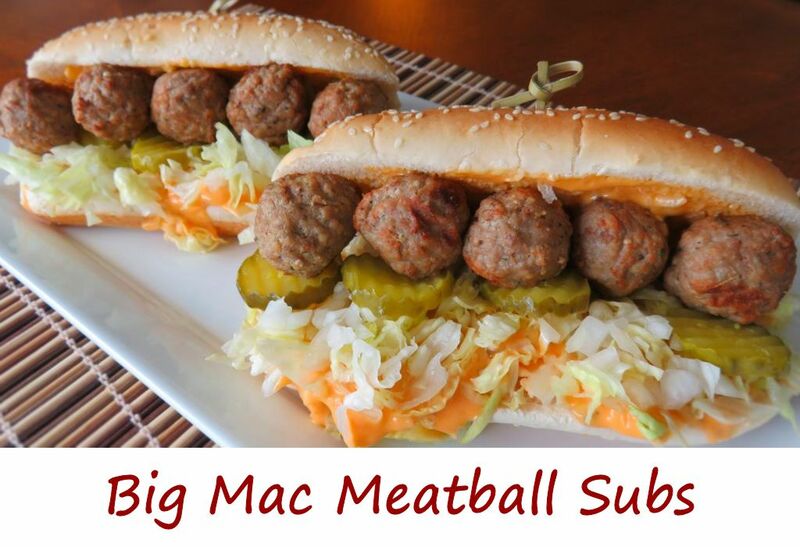 Big Mac meatball subs are a tad bit messy to eat and that’s a good thing. I’ve said it a millions times before. The messier the sandwich, the better it is. Put up the fine linens and grab some paper towels and dig in! Also try my grilled Big Macs (a longtime favorite of mine) and Big Mac sliders (same great flavors, packed into smaller bites). Make an extra big batch of the special sauce. I use it on regular old cold-cut sandwiches and hot dogs, and not just Big Mac meatball subs. Combine all ingredients and whisk until smooth. Refrigerate until ready to use. Heat the meatballs per package instructions. The last 5 minutes of heating add the buns to the oven to warm them. Assemble subs by slathering bun bottoms with special sauce. Add the cheese, onion and lettuce. Top with meatballs and dill pickles.